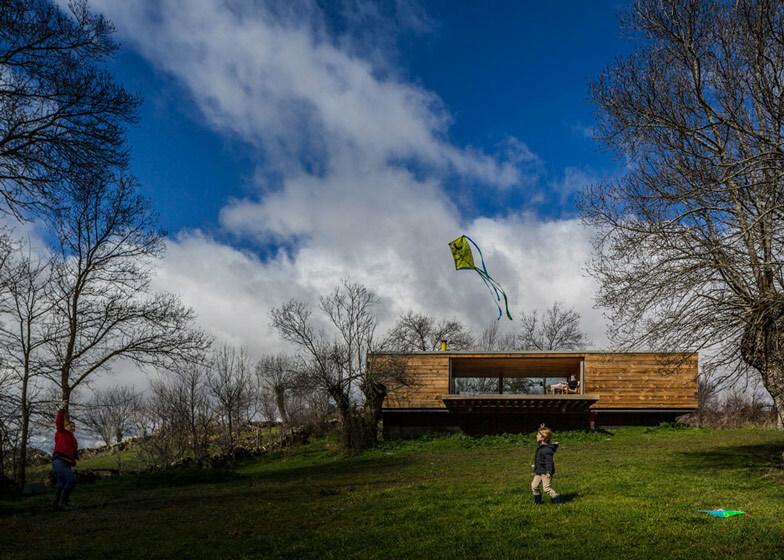 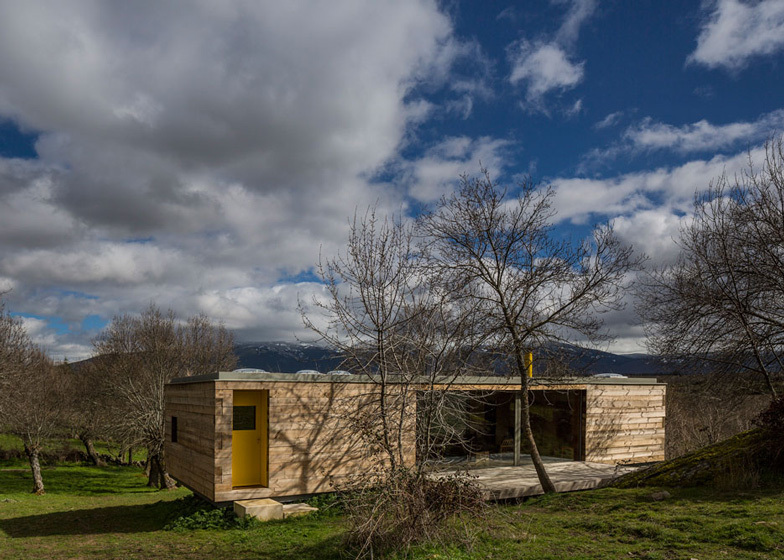 Spanish architects Josemaria de Churtichaga and Cayetana de la Quadra-Salcedo have built themselves a rural retreat with wooden walls, projecting terraces, and a brilliant yellow door and chimney (+ slideshow). 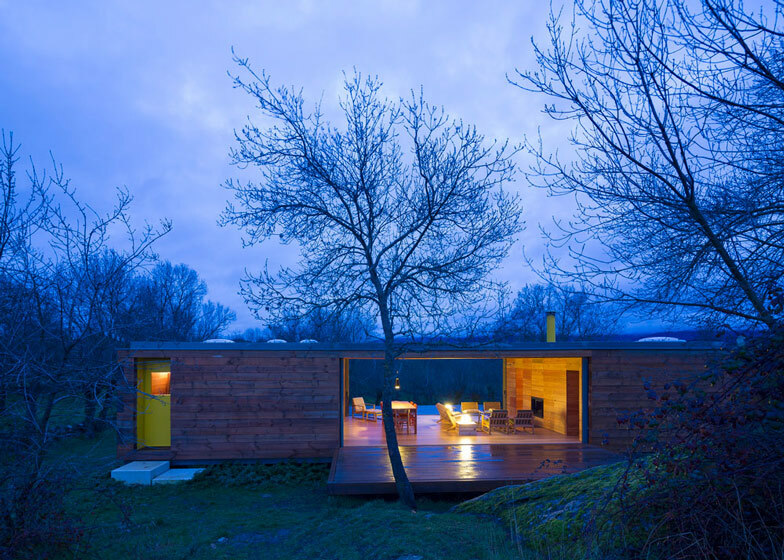 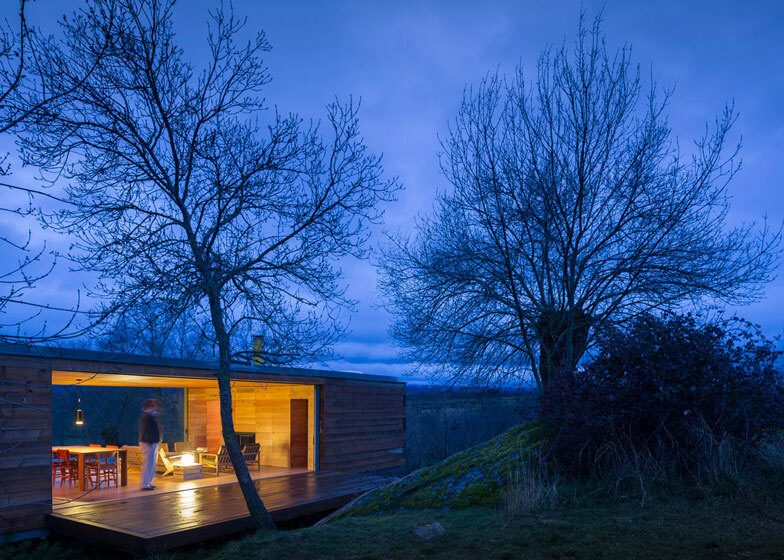 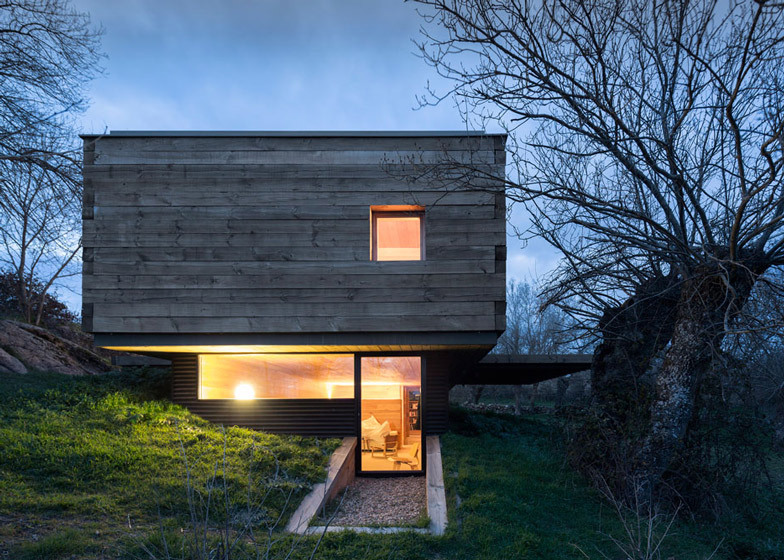 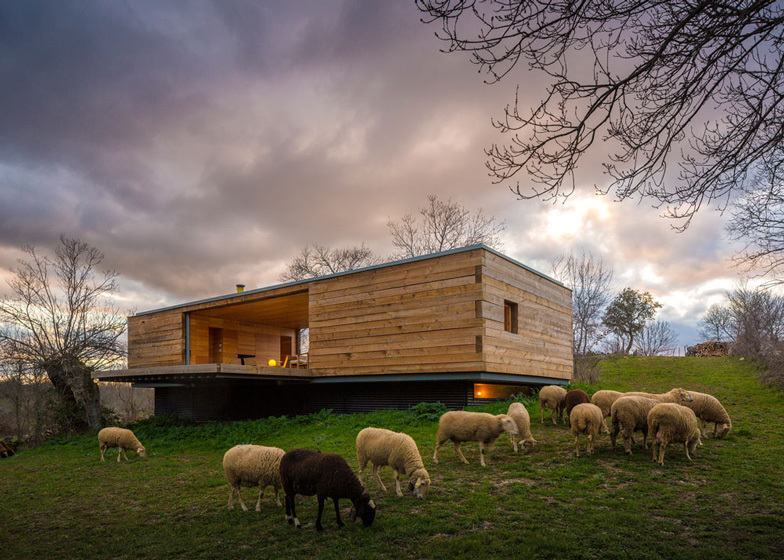 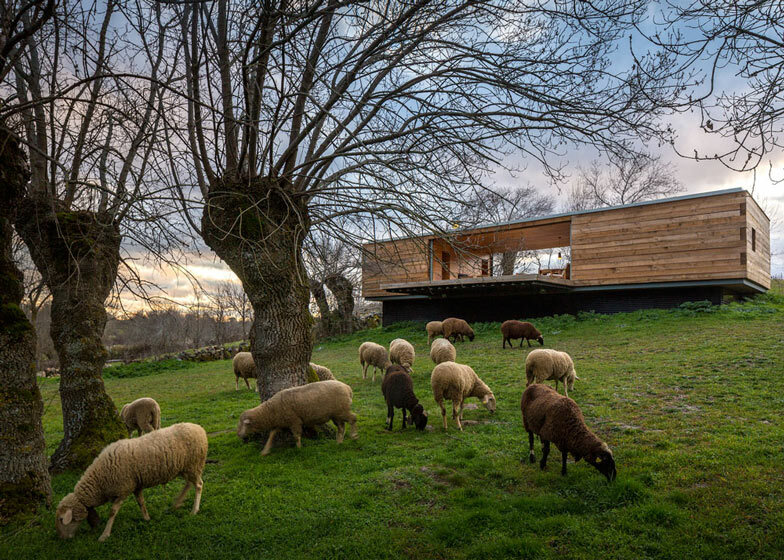 Churtichaga + Quadra-Salcedo designed Four Seasons House for a gently sloping meadow approximately 100 kilometres north of Madrid, which had sat dormant since the architects purchased it 12 years earlier. 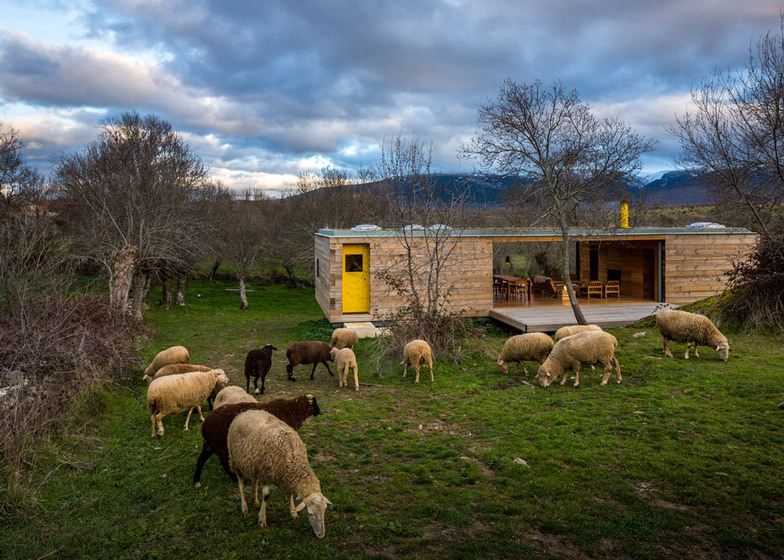 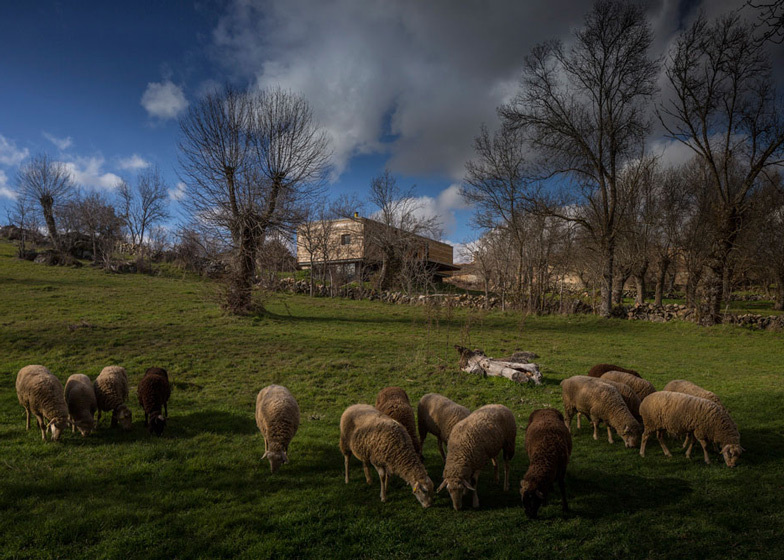 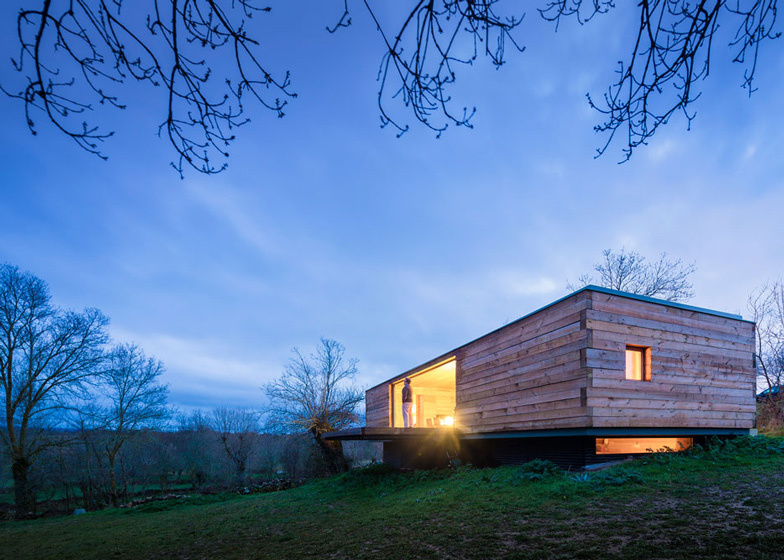 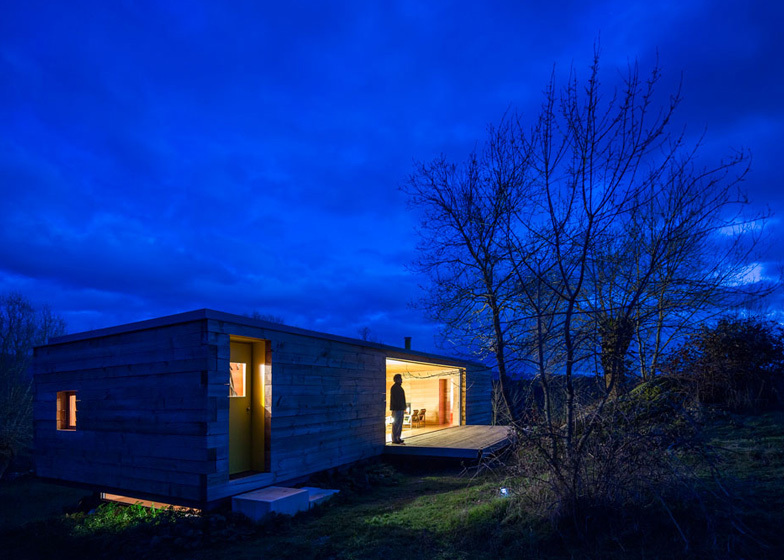 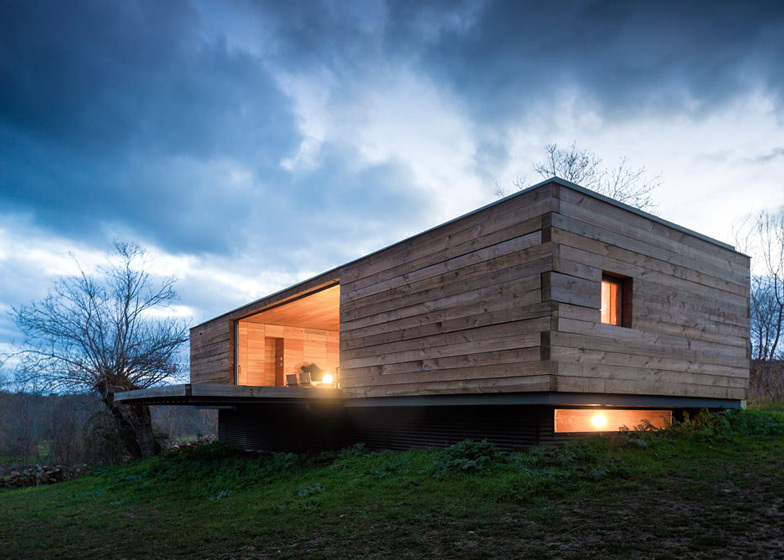 "After 12 years of contemplation, we decided to build a tiny house there, a refuge, a piece of landscape as a frame, a small inhabited threshold with two views, east and west," they explained. 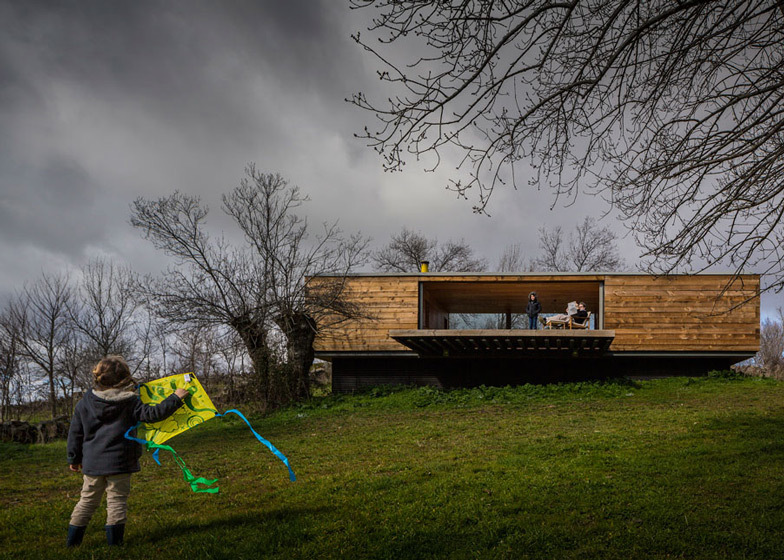 The architects developed the design around a yellow colour palette in response to the hues of flowers, leaves, bark and lichen that they've spotted in the landscape across the changing seasons. 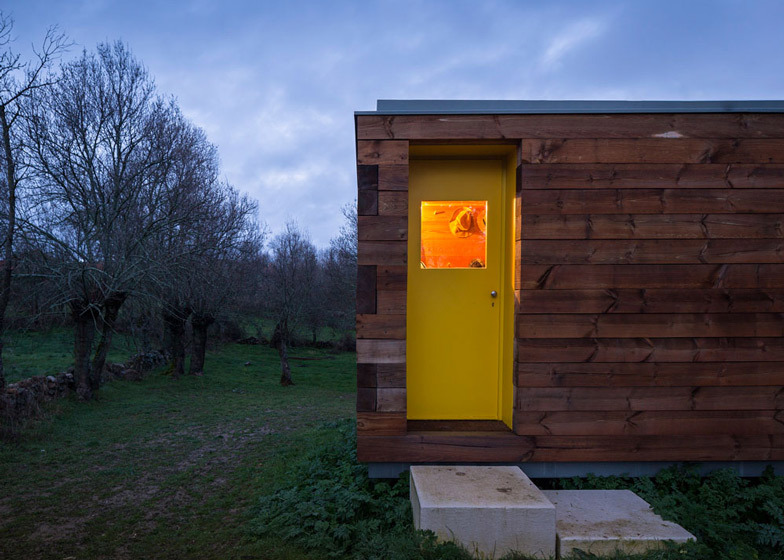 "This is a humanised landscape of meadows, walls, ash, streams - a small-scale landscape, minimal, almost domestic, and where absolutely everything happens in yellow," they said. 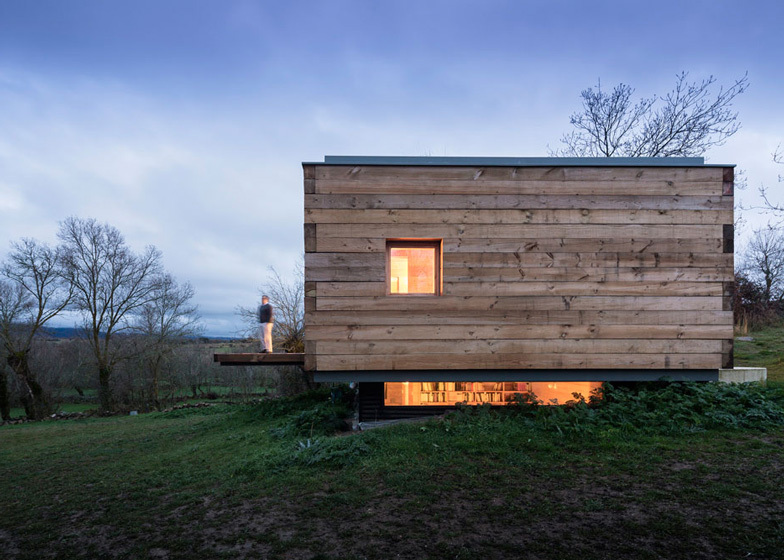 Part-buried in the hillside, the two-storey house was built from chunky wooden beams that slot around one another to create alternating corner joints. 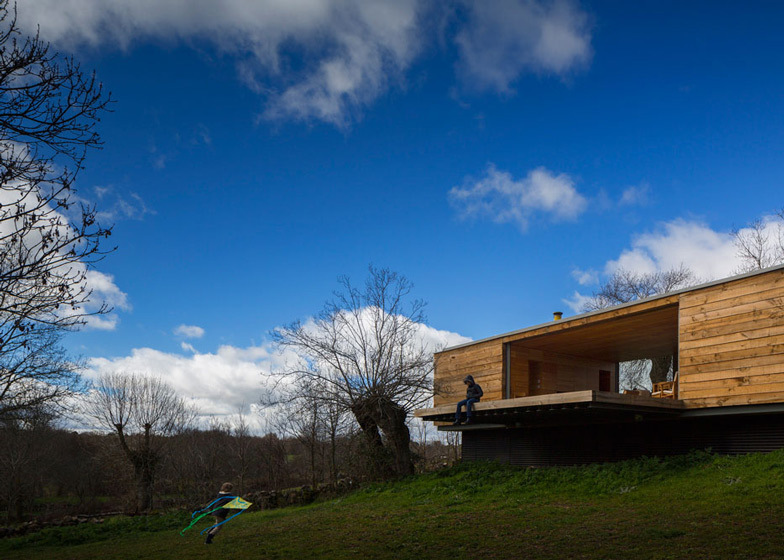 The family living room sits at the centre of the upper-ground floor and opens out to terraces on two sides. 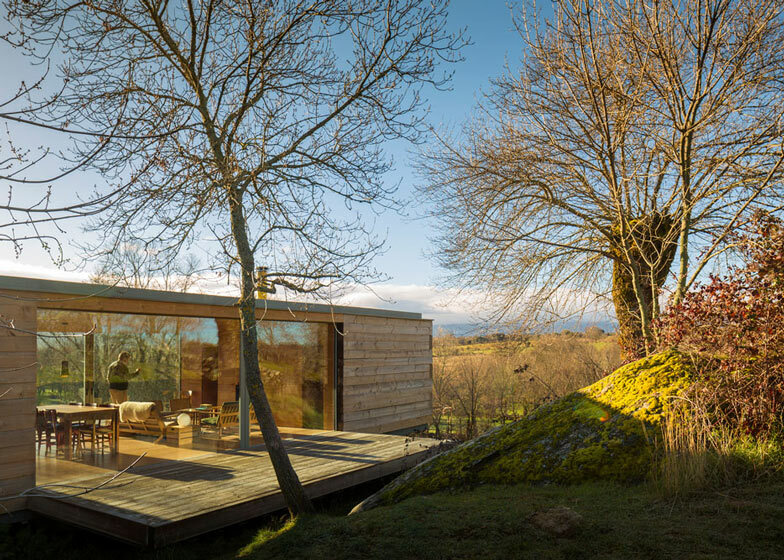 The first cantilevers out to face distant mountains to the east, while the second projects westward towards a landscape of rocks and brambles. 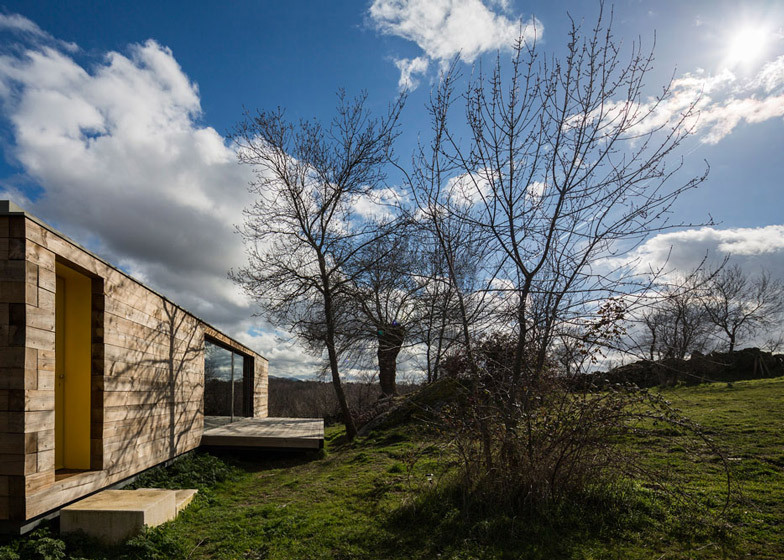 Timber-lined bedrooms and study areas are located at the two ends and feature built-in desks and cupboards. 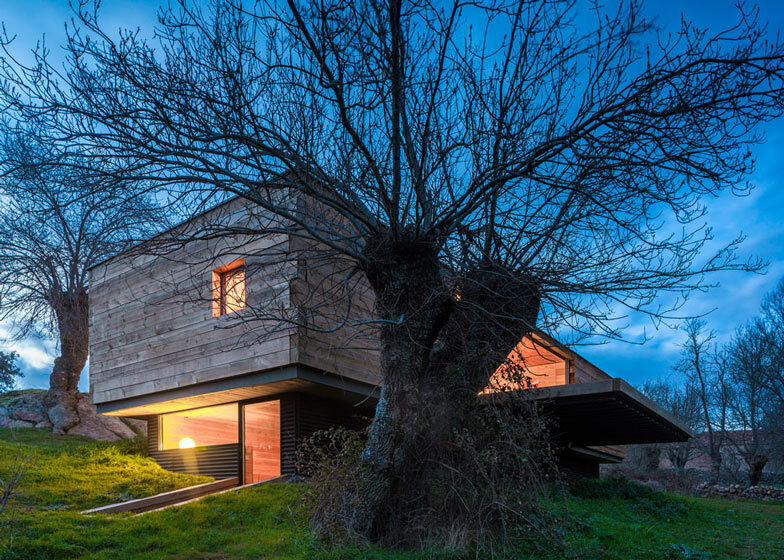 Wooden stairs lead down to the partially submerged lower floor, where an open-plan layout creates a space that can be used as a separate guesthouse.